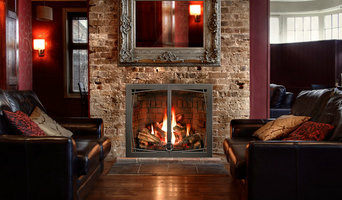 Spring Creek Design is a creative, full service design+build firm. We envision and craft beautiful environments, both interior and exterior. Our passion is working with clients to discover their unique style and designing spaces that will allow them to experience life the way they want to live it. Like a tailored suit or a work of art, no two are exactly alike. Our remodeling designs capture the true passions of our clients and marry them with hand selected materials that reflect their individual personalities. Spring Creek Design was established in 2001 by Pete Cooper. Nationally Award-Winning, design-centric and driven by excellence. Architecture, design, web-based project management and superior craftsmanship delivered as one seamless process. Extensive experience with green & sustainable building, with a passion for modern, transitional and craftsman design. Think. Build. Call or email for more information! LanChester Grill & Hearth was founded in 1996 and is the area's most complete provider for stoves, fireplaces, grills, outdoor kitchens, pergolas and much more. Awarded Best of Houzz honors for 2015, 2016, 2017, 2018 and 2019! The award-winning design-build remodeling team at Custom Craft has been creating finely crafted home environments for more than 30 years. Regardless of the scope of the project, our team of designers, architects, and craftsmen apply the same commitment to quality and attention to detail. From whole home renovations, to powder rooms, and everything in between, we ensure that our clients expectations are met or exceeded by providing excellent service at every stage of the remodeling process. For this reason, our clients have been generous with their praise, repeat business, and referrals. If you are planning to renovate your home, we encourage you to review our work and client reviews. When you are ready to discuss your project, please give us to call to schedule a complimentary consultation:. West Chester Design Build is a premium home remodeling company based out of Chester County and servicing the western suburbs of Philadelphia. To simplify your home remodeling experience our team guides you through both the design and the construction of your project. Step One: Our architectural designers will work with you to engineer the perfect floor plan. Step Two: Our interior design team will help you select the perfect finishes to achieve the style and function you’ve been looking for. We round out the design by walking you through a virtual 3D model of your future space to ensure you love every detail before we even start construction Step Three: Your personal project manager will get construction underway implementing the plans we’ve helped you create. What’s REALLY cool is we provide you access to our mobile app where you can view the schedule, get daily updates and see photos of your project. If you want to learn more about our design-build process, or if you have a project we can help you with, reach out to us! bw design group is an award winning design firm located in Wilmington, Delaware, with a satellite office in Lincoln, MA catering to clientele from New York to Los Angeles. Our ala carte service can take the discriminating home enthusiast from the foundation to the dishware in their cabinets. bw design's services are tailored to each client individually and include but are not limited to: custom home design, custom upholstery/cabinetry and lighting design. In addition to the design services bw design group has an in-house custom build construction company to handle any project from a small kitchen to the construction and management of a 10,000 square foot home. Our team goes above and beyond our clients' expectations to create their dream home. We have a dedicated team that specialize in a number of areas of design and construction (both interiors and exteriors). JR, our founder, grew up in southern Maryland, working in the family mechanical contracting company in Washington, D.C. He has been part of many well-respected design and construction companies acquiring a wealth of first hand experience In 2007, after twenty years in the industry JR decided to put all of his experience and talents into the establishment of Avalon Associates, Inc., allowing him to focus on his passion to build custom homes. We seek to capture our clients individuality, through customization, high quality finishes and attention to detail in each project we take on. Design-build firms take on the responsibilities of architects, contractors and construction companies, all under one roof. These full-service firms focus on a streamlined design-build process — from the initial design to the estimating phase to physical construction — in the hope of creating an efficient experience for both the client and the company. Because the entire project is happening within one company, Oxford design-build firms are able to overlap the design and construction phases of the project, which often speeds up the project significantly. In addition, these firms work to minimize risks for the project owner through single-point responsibility contracts. However, depending on the firm, you may still want to contact an interior designer or architect to help create the exact look you want. Here are some related professionals and vendors to complement the work of design-build firms: Interior Designers & Decorators, Landscape Architects & Landscape Designers, Architects & Building Designers, Photographers. 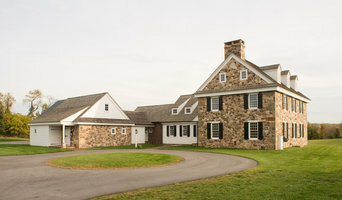 Before deciding on a residential design-and-build company in Oxford, PA, think about what you want from your new home. Do you want a large kitchen for entertaining? Do you need several bedrooms for children and guests? Do you want a finished basement for extra space or storage? 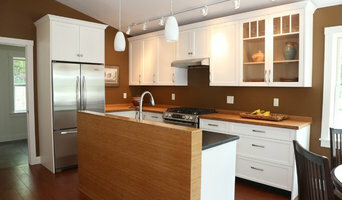 Look for Oxford design-builders that specialize in the areas you're looking for. Budget is obviously a determining factor in the outcome of your project. To make sure you stay within your means, consider making a must-have list and a wish list. Gauge where the estimates are falling to determine which design-build contract can realistically strike the balance between the two. Find an Oxford design-build company on Houzz. 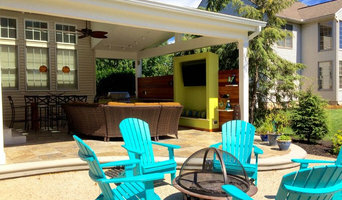 Narrow your search in the Professionals section of the website to design-build firms in Oxford, PA. You may also look through Oxford, PA photos to find a pool you like, then contact the design-build firm that created it.